We wanted someone who is making a positive impact on the world. 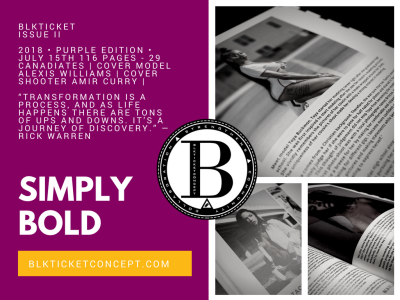 Not only did we want to shine a light on the model, but we want to show how they positively influence the individuals around them. 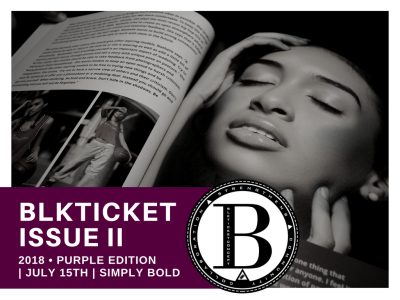 When selecting the Blkticket magazine cover model for the purple editions we take into consideration multiple factors. 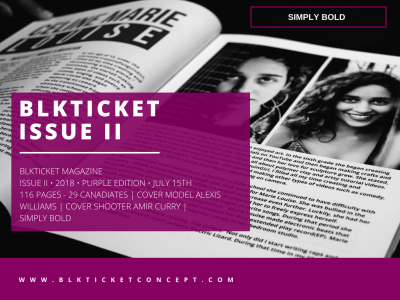 The Blkticketconcept team wanted someone who displayed positive character, leadership abilities, and the desire to be the best in their field. 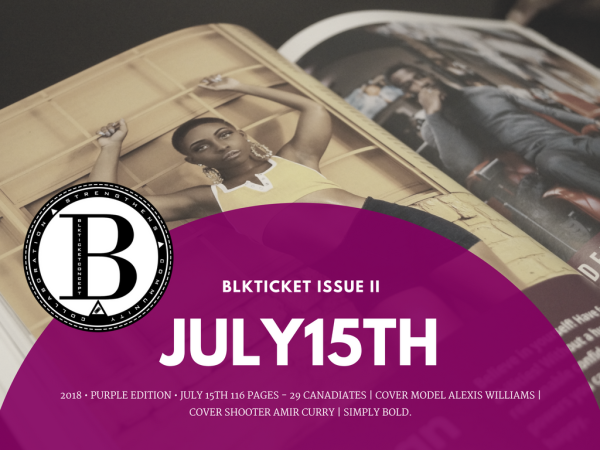 Our team wanted someone who is motivated to be the greatest not just in modeling, but in everything they do. This individual understands that their true identity is what they decide to make for themselves and not the opinion of others. They embrace their natural flaws with a smile that even a negative comment could not replace. This person believes that true power does not lie in the tongue of critical individual’s condemnation but in the aspirations and dreams that they themselves turn into their reality. The reality that they envision for themselves. 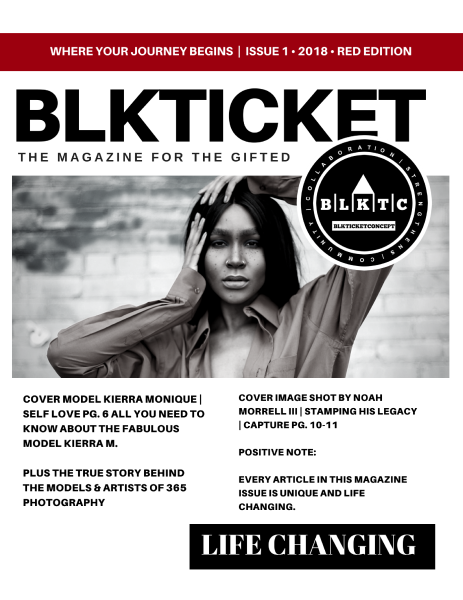 We know that modeling can be short-lived but the benefits of having an education endures. Education is also a factor that our team considered. 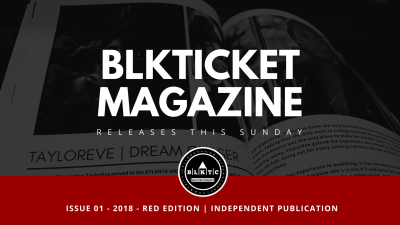 A magazine should be more than just pictures. 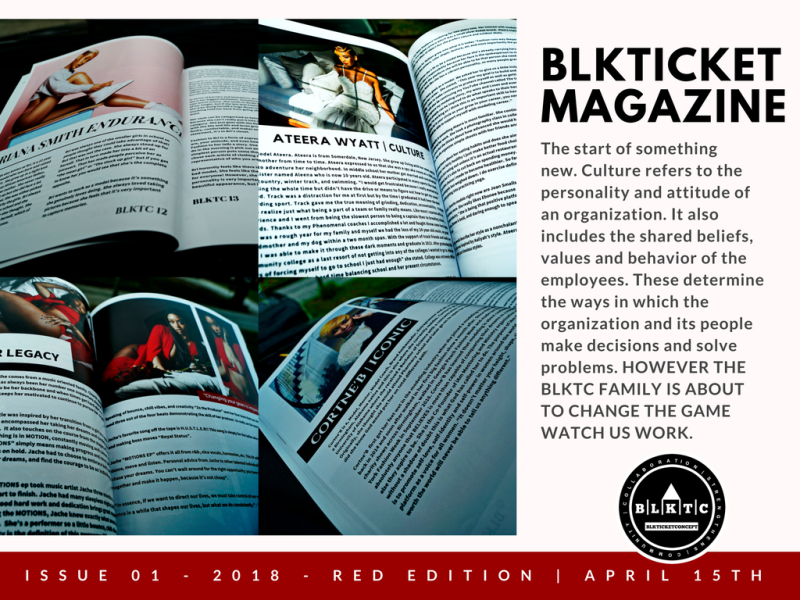 A magazine should be life changing, inspiring, unique, and creative. 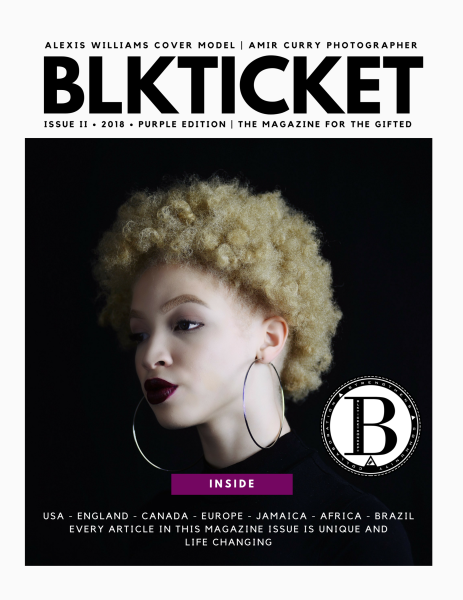 New cultures are created every day and records are meant to be broken. Nothing stays the same forever. 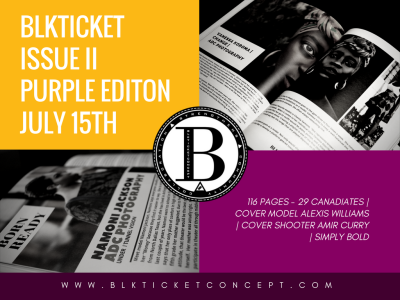 The Blkticketconcept excited to announce BLKTICKET ISSUE II. 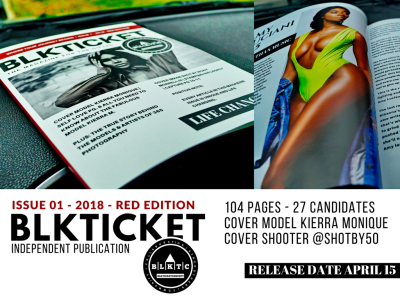 No ads, 116 pages, and 29 CANDIDATES made this issue. 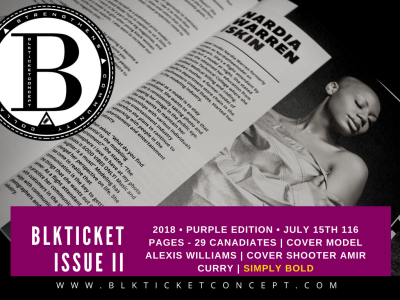 ​​Have you ever had someone tell your story? Have you ever been broken before? Have you ever faced betrayal and hardship? 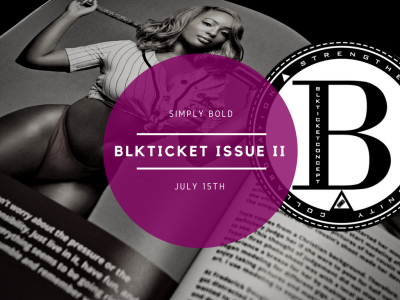 Have you ever started your own business solely by yourself? Have you ever felt lost and without hope? 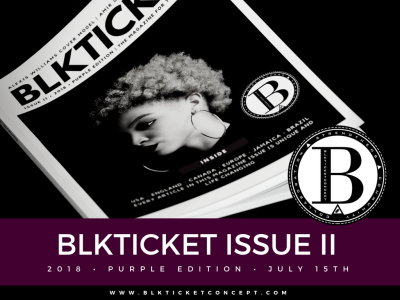 Blkticketconcept is your home and voice for your story. 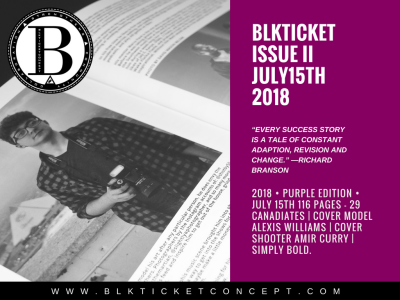 Blkticketconcept is that push that you need to further better yourself. 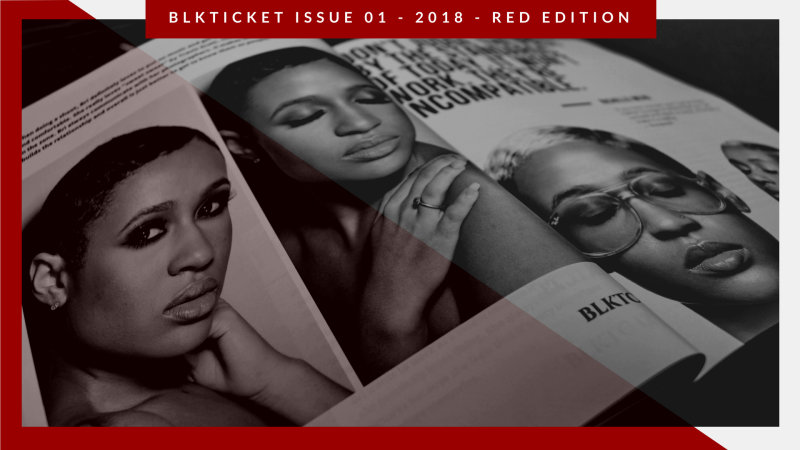 The Blkticketconcept family have conducted face to face interviews with big markets and conferences to finalize the price of the first issue. 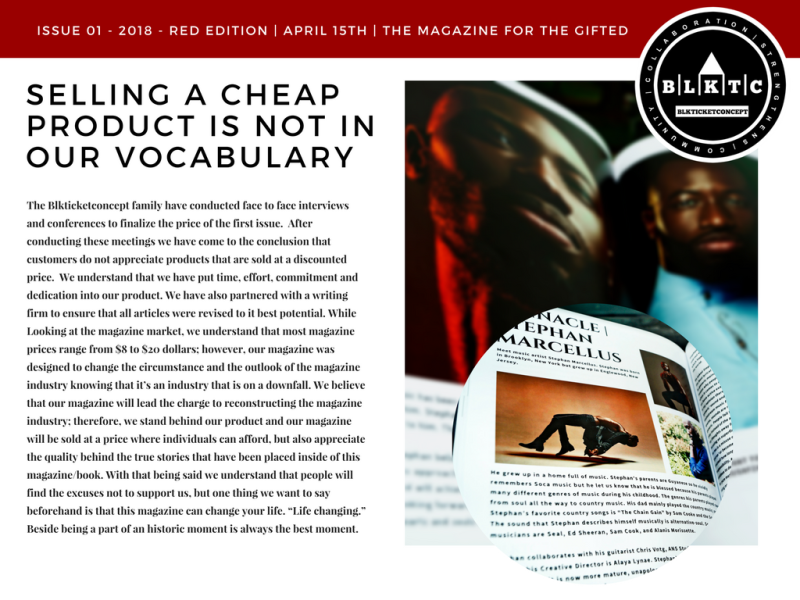 After conducting these meetings we have come to the conclusion that customers do not appreciate products that are sold at a discounted price. We understand that we have put time, effort, commitment and dedication into our product. 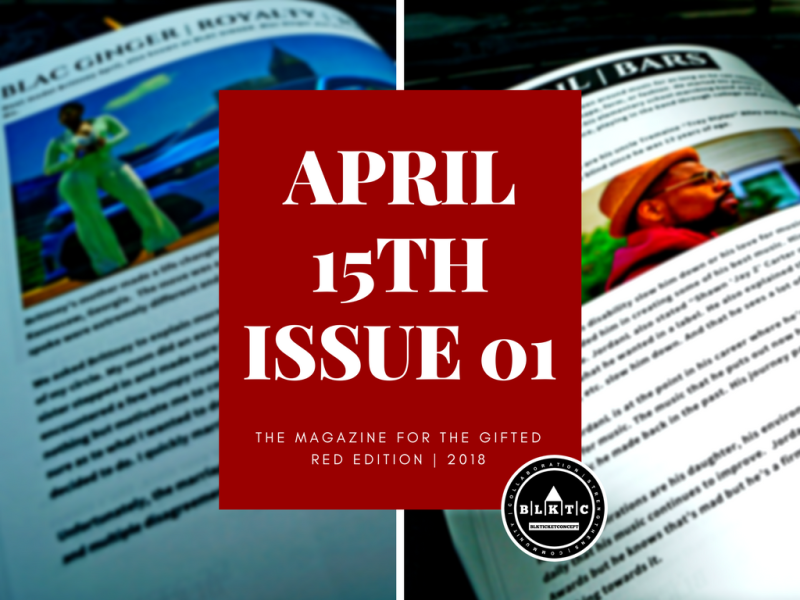 We have also partnered with a writing firm to ensure that all articles were revised to it best potential. 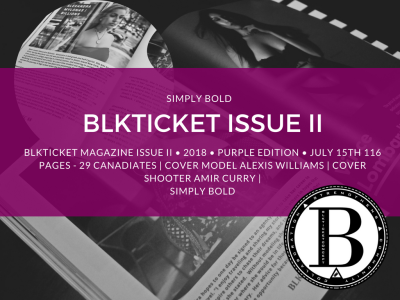 While looking at the magazine market, we understand that most magazine prices range from $8 to $20 dollars; however, our magazine was designed to change the circumstance and the outlook of the magazine industry knowing that it’s an industry that is on a downfall. 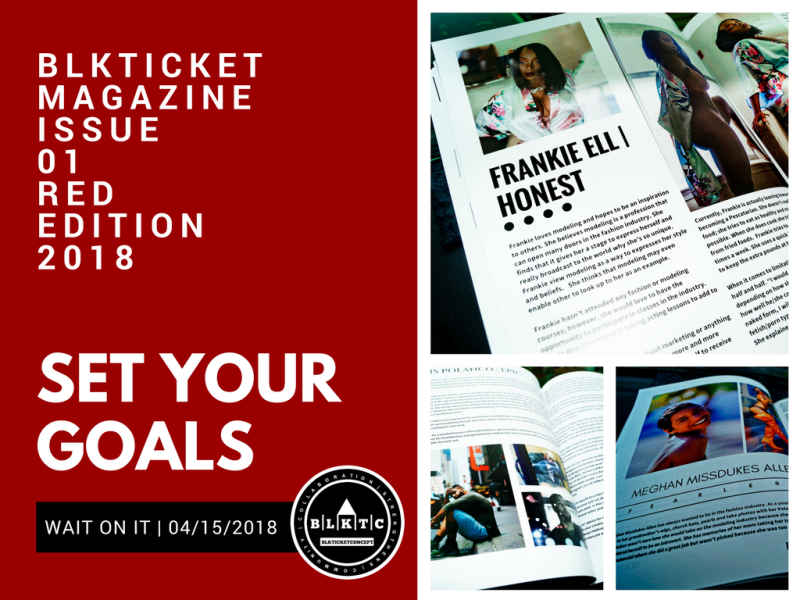 We believe that our magazine will lead the charge to reconstructing the magazine industry; therefore, we stand behind our product and our magazine will be sold at a price where individuals can afford, but also appreciate the quality behind the true stories that have been placed inside of this magazine/book. 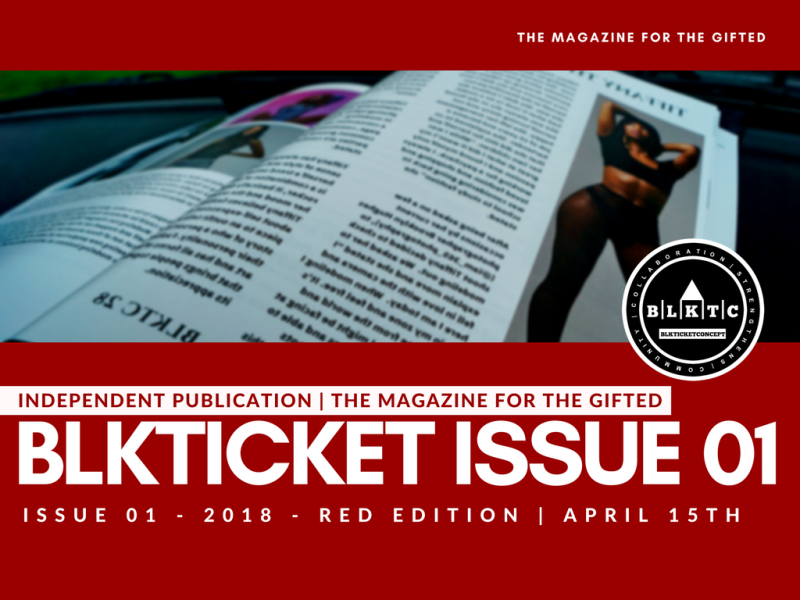 With that being said we understand that people will find the excuses not to support us, but one thing we want to say beforehand is that this magazine can change your life. 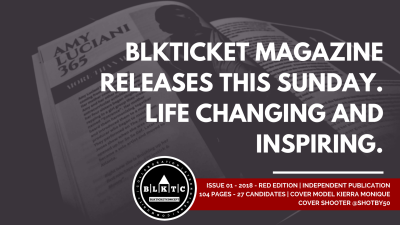 “Life changing.” Beside being a part of an historic moment is always the best moment. 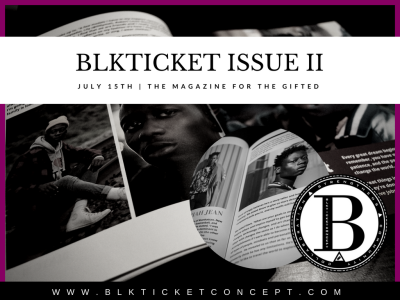 A magazine should be more than just pictures. 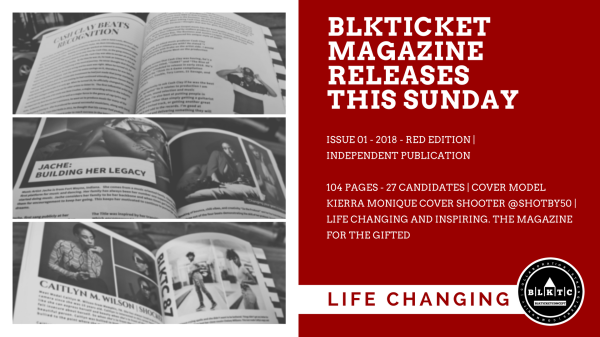 A magazine should be life changing, inspiring, unique, and creative. New cultures are created every day and records are meant to be broken. Nothing stays the same forever. 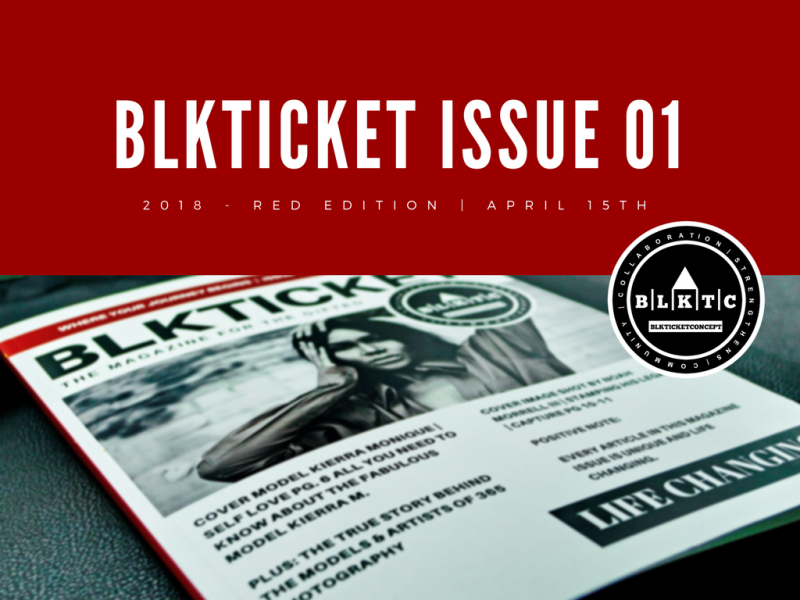 After two years the Blkticketconcept Family has decided to create our first magazine. 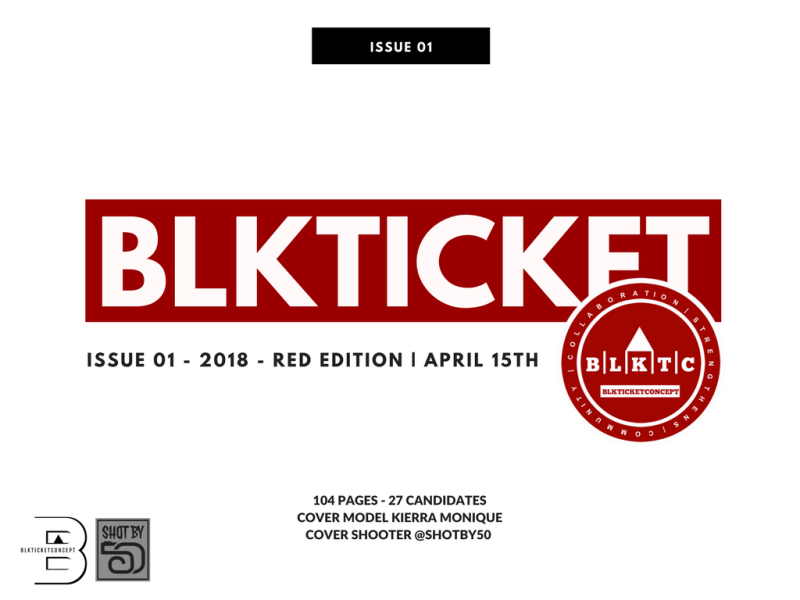 No ads, 104 pages, and 27 CANDIDATES made this issue.